“I am not going to eat all of this by myself.“, I recite each and every time I make this. Maybe I actually kept that promise once– who knows. Whether you opt in or out of sharing the joy with others, this mix is SO good, so flavorful, so refreshing, and so perfect to go with anything grilled in the summer. It’s also a fresh and easy way to jazz up a taco. This with some shrimp, avocado slices, and a tortilla: done. Better yet, add it to my Breakfast Fajitas! Or just eat it with chips and feel really happy. The bursting pops of the corn, the crisp of the jalapenos, and the sweet juicy tomatoes will make you want to take another bite, and then another. One of the best selling points about this salads is it requires no cooking, if you buy the right kind of corn. 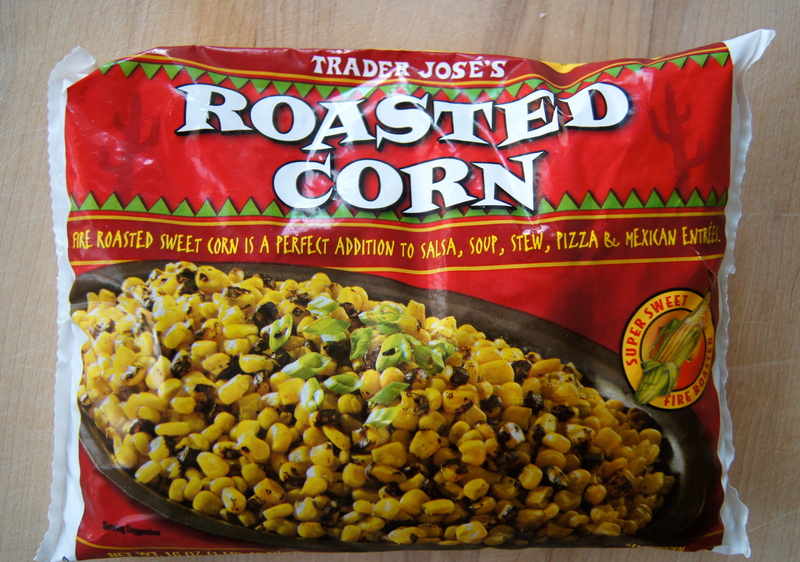 Trader Joe’s frozen roasted corn comes in a bag and is ready to use. I recommend thawing it in the fridge overnight, or you can nuke the kernels in a microwave-safe bowl just long enough to thaw them, about 45 seconds. If you’re not able to get your hands on a bag of TJ’s roasted corn, simply place regular corn kernels on a baking sheet and charr them under the broiler for about 5-8 minutes. Add corn, red onion, jalapeno, tomatoes, and scallions in a mixing bowl. Stir until mixed. Add sour cream, lime zest, lime juice, salt and pepper, and stir until all ingredients are thoroughly combined. Transfer to an airtight container and refrigerate for at least one hour before serving.